We began with a post-up gamestorm in which people recorded reasons why to blog. Each of these ideas was recorded on a Post-it note, and we posted the notes to our idea wall. Then, we used an affinity map gamestorm to gather related Post-it notes and categorize our thinking. 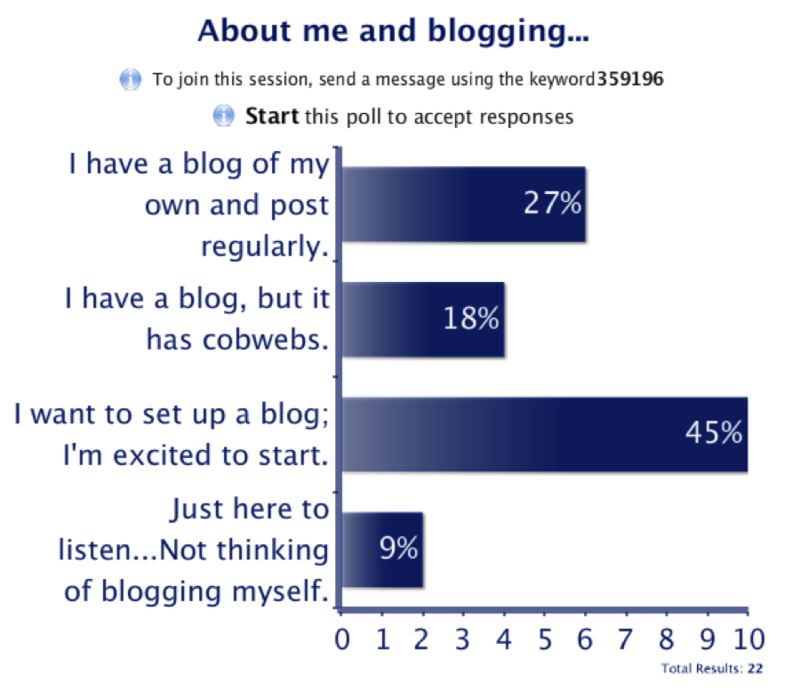 The discussion was great, and people contributed mightily to our collective understanding about why people might blog…and what can get in the way. In order to dive into the “What to blog?” section of our game plan, we used a Google Doc for collaborative brainstorming: http://bit.ly/py3yvb. Finally, we walked through the steps of actually establishing a blog on our WordPress Multi-user Domain. We encountered some technical difficulties with the confirmation-email process, but our group found ways to positively engage. Some wrote practice drafts of blog posts using Word and Pages. Others drafted a directions/instructions document about what we had done in the session. A few others even split into teams for a cooperatively competitive contest about taking the “30 Day Challenge” for posting once a day for a month…to get in the habit (posts might be as short as a sentence or an image-and-question combo). Now, as I wrap up this post, there are some stragglers here still working…still learning. It’s 11:55 a.m., and we are having fun learning and working together. 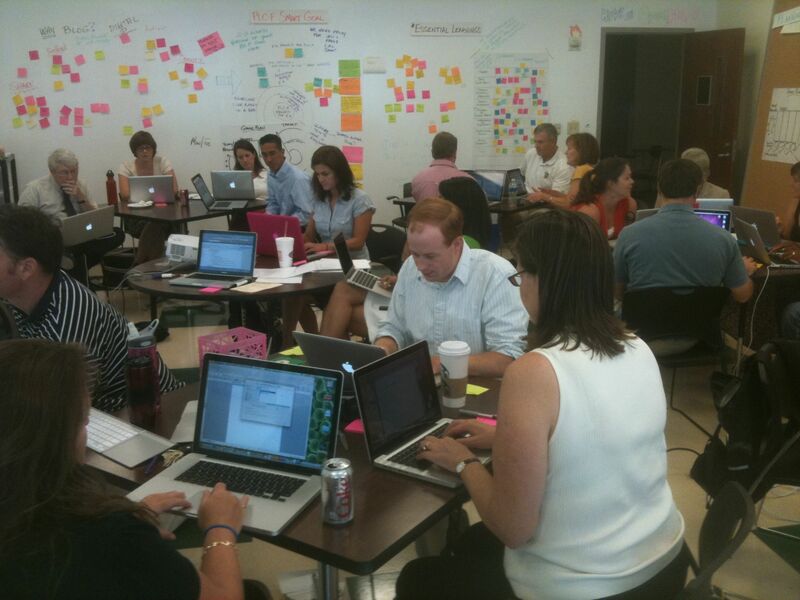 * FOOTNOTE: Interestingly, Jill and I had planned a session on PBL. On Thursday afternoon, we realized we had a small list of registrants. Because of the enthusiasm over digital portfolios – generated the day before – we decided to use this formative assessment to shift our workshop plan. Our three, original registrants were very understanding and flexible, and we ended up with a full house – about 24-25 folks. This entry was posted in Assessment, professional learning and tagged blogging, digital portfolio, wmatl by boadams1. Bookmark the permalink. Even though I didn’t have the good fortune of attending today’s workshop, I’ve been inspired by your post and by some of my colleagues who attended the session. While I’ve been a hand-written journal-er since the “wee” days, the powerful point here is the SHARING and the ACTIVE reflection, which breathes and gains life through the ideas of others. I wait with great anticipation to enjoy a window into your reflection. Already a fan of your writing and thinking, I am so excited for you to take this journey of continuing your practice in a forum that has more readers and co-thinkers. Let me know how I can support your work on this. Sounds like you had a great session! 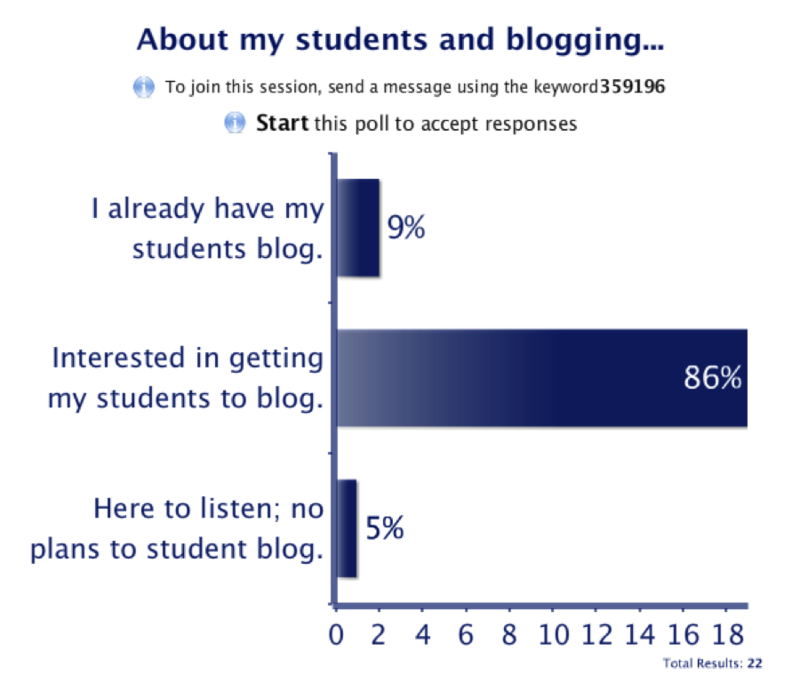 Thank you for joining in today with our Westminster blogging session on digital portfolios. What a treat to see a note from you – full of your wisdom and experience. Also, your encouragement is profound – I have such respect for you and your work in education. I am sorry I missed you in San Diego this summer. Hope to see you soon. In the meantime, there are a number of other Westminster bloggers here. Just to name a few, see the following on the Blogroll – Experiments in Learning by Doing, Ingles Fatal, Postcards from the Outback, Superfluous Thought, and A Year with Henrietta. And a herd of others are coming our way soon! Take care. How the heck do you and Jill find the time to do your real jobs and still come up with all this amazing stuff? Clone yourselves and I think we would solve half the outstanding problems in our educational system. In my next life maybe I will get to be a scribe for you guys. In the next life, perhaps we will all be in the same city! Grant, what a treat to have a FB note from you, as well as a blog comment. Sincerely – thanks for the compliment and encouragement. As for me…I am inspired by my colleagues and faculty to do all I can for the good of our students. I merely stand on the shoulders of giants.